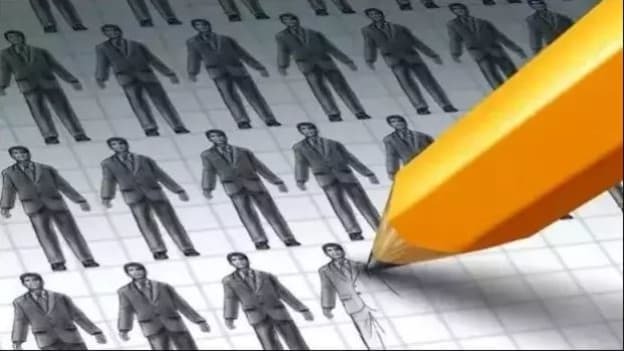 Care Ratings released a study which highlights employment growth in corporate India declined to 3.8 percent in FY18, from 4.2 percent in FY17. The rating agency, Care Ratings released a report highlighting jobless growth is real. The report highlights that employment growth in corporate India dropped to 3.8 percent in FY18, from 4.2 percent in FY17. The report also found that jobs in smaller companies being hit the hardest. The report surveyed and analyzed over 1,600 corporates. The analysis found that smaller companies, with net sales of less than INR 500 crore witnessed a shrink in employment growth, while larger companies, with over INR 500 crore sales, had positive employment growth in FY18. Looking at the industry-wise job-creation trends, the finance sector leads the pack with 14 percent followed by retail (13.05 percent), construction (9.6 percent), infrastructure (9 percent) and ratings (8 percent). The telecom and education sector registered a decline in job creation by 7.6 percent and 5.3 percent respectively. The report also observed that the overall employee cost came at 8.3 percent in FY18, while the average employee cost increased by 4.3 percent. On the analysis, Care ratings shared in media, “The moderation in employment growth is reflective of the proposition that higher economic growth is weakly translating into higher job creation."